A shocking footage has emerged of Cllr Neil Rix – the Mayor of the Kent coastal town of Dover, England, snorting a white substance that looked like cocaine with a pal encouraging him from behind. 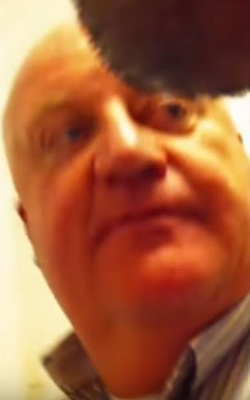 Despite the concrete evidence visible to everyone who watches the video, the Mayor claims he is the victim of a blackmail plot and that he won't resign as the incident is not 'recent' and what he was snorting could be 'vim or icing sugar'. The 54-year-old says he won’t be resigning as “it could have been sherbet, Vim or icing sugar”. “I just feel I have let down my family but I will get over it. I have had a lot of support from friends and family, people that know me.” I had never done this before in my life. I had been set up right from the start. This was from before I was mayor, and even deputy mayor. 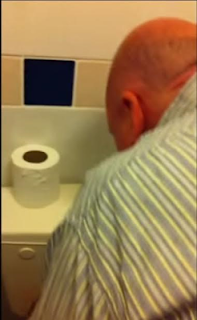 The footage of Cllr Rix which he claims was shot before he became town mayor, shows the councillor, snorting a white substance through a banknote while his male companion can be heard encouraging him from behind. To which the other man replied: “Yeah, go on.” before he bent over and snorted the substance for 8 seconds.